The Frisco Peninsula trail system in late May. 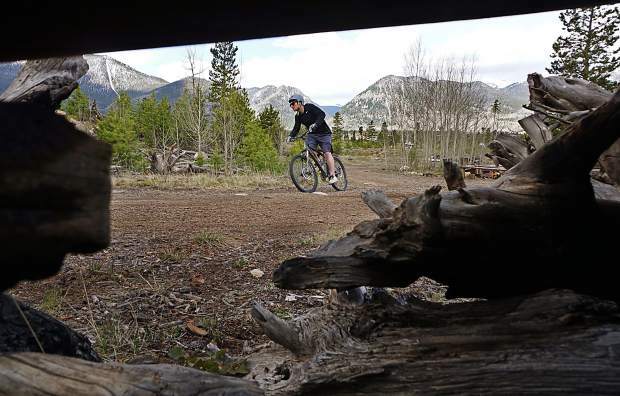 Riechel's Ride singletrack on the Frisco Peninsula trail system in late May, with views of Buffalo Mountain (right) and Peak One (left). The Frisco bike park green line berms in late May. The water tower hill climb on the Frisco Peninsula trail system in late May, with views of Peak One in the background. 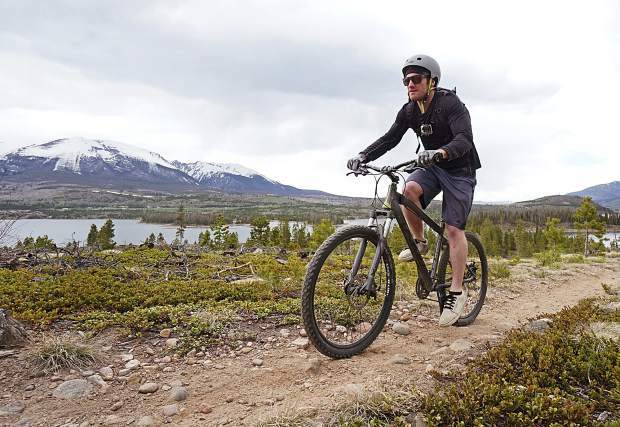 The Frisco Peninsula trail system in late May, surrounded by Lake Dillon and views of the Tenmile and Gore ranges. Grinding through pine stands on the Frisco Peninsula trail system in late May, with views of Frisco Bay Marina in the background. When: Wednesday, June 7 at 6 p.m. On-site registration is available for an additional $5. An adult season pass for all races is $175 (including Fall Classic) or $125 (no Fall Classic) until June 21 and includes a permanent number plate, post-race party and Fall Classic meal. There are also affordable opportunites for juniors through the MTB Junior League. To register for races and learn more, see the Maverick Sports website at MavSports.com. 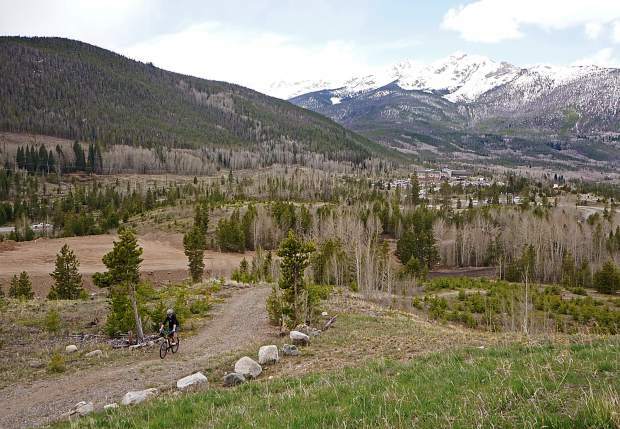 SUMMIT COUNTY — It wouldn’t be summer without the Summit Mountain Challenge, Summit County’s local mountain-bike series now celebrating 31 years of (mostly) friendly competition on hometown singletrack. 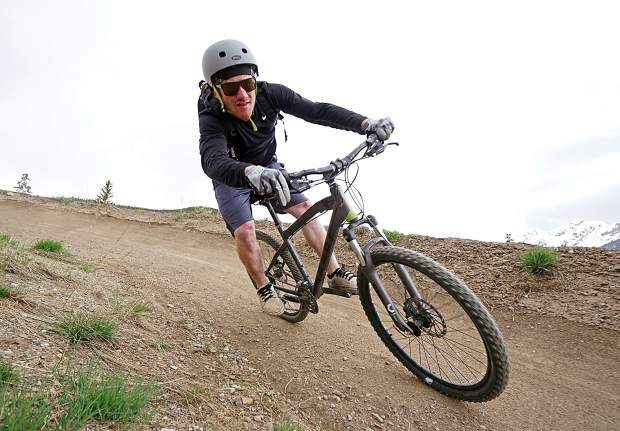 As they have for more than a decade, race director Jeff Westcott and his crew at Maverick Sports kick off the series with a Wednesday afternoon romp on the Frisco Peninsula. 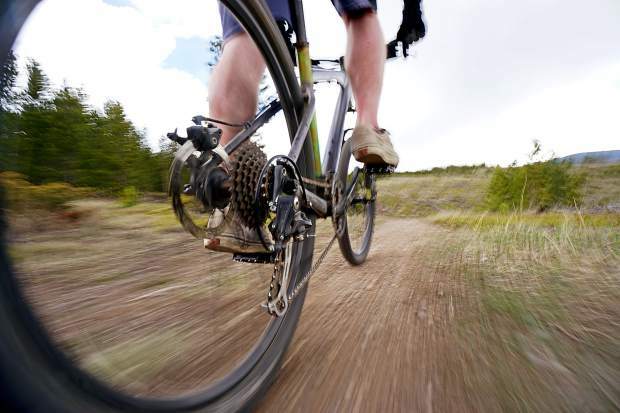 Dubbed the Frisco Roundup, the first event of the bi-monthly MTB series is held June 7, with divisions for men, women, juniors and singlespeed maniacs. 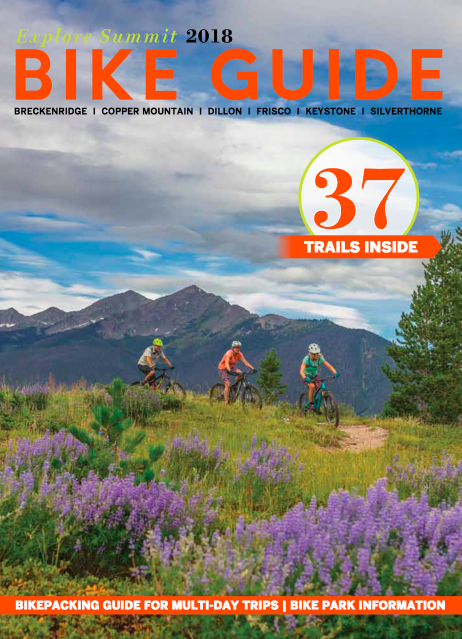 The Roundup takes riders on a tour of the best (and burliest) singletrack at the Peninsula, with up to three laps on a 6.6-mile course known for rocky descents, flowy ridges and a few nasty climbs. 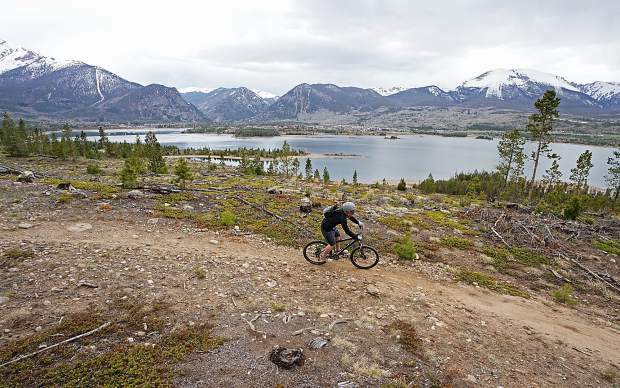 It’s some of the first terrain to dry out in these parts, where an average altitude of 9,000-plus feet keeps singletrack sloppy and snowy until mid-June. 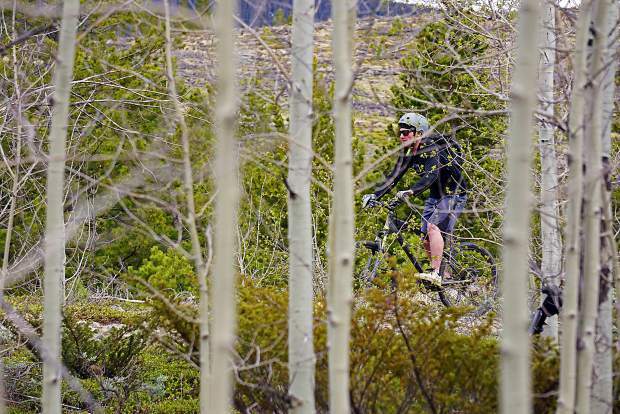 The Summit Daily sports desk previewed the course in late May — just a few weeks after the latest round of rain/snow — and things were running perfect, including the berms and rollers on the lower bike park green line. Now’s your chance to get a taste of the course before the Roundup, and, while you’re there, wonder why so many Peninsula trails sound borrowed from the Third Reich. Here’s a preview of the big course for adult riders. The 4.4-mile juniors course is for riders 12 years and younger. Start by the Frisco Adventure Center bus stop on the pavement. Ride uphill a short distance and turn left into the maintenance building parking lot. Cross the paved bike path, ride past the sleigh ride storage area and bear left on M’Rezy. Follow M’Rezy for 0.3 miles and turn right onto RJ’s Vista. Follow for another 0.3 miles and turn left on Balfonz Blitz, crossing the paved Peninsula Road to continue for another. Bear left from Balfonz Blitz onto the water tank climb. 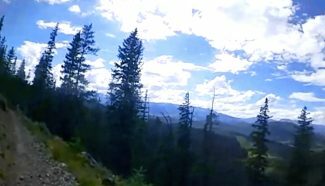 From the top, merge left onto Jody’s Loop. Follow Jody’s Loop for about 1 mile to until it merges with Riechel’s Retreat. Take Riechel’s Retreat about 0.25 miles until it ends at Crown Point Road. Merge onto Crown Point Road and ride on dirt road about 1.5 miles to Buzzsaw on the left. Turn uphill and take Buzzsaw on a rollercoast of climbs and descents for about 1 mile to Recreation Way. 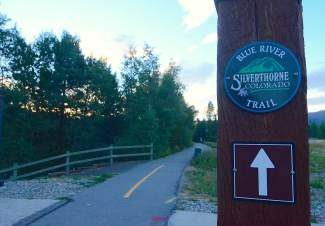 Cross the paved rec path at Recreation Way and point for the tubing hill lift shack. Climb to the top of the bike park and enter the green flow line for the descent to the finish at the Adventure Park day lodge. In terms of difficulty, the Frisco Roundup is the perfect season opener. 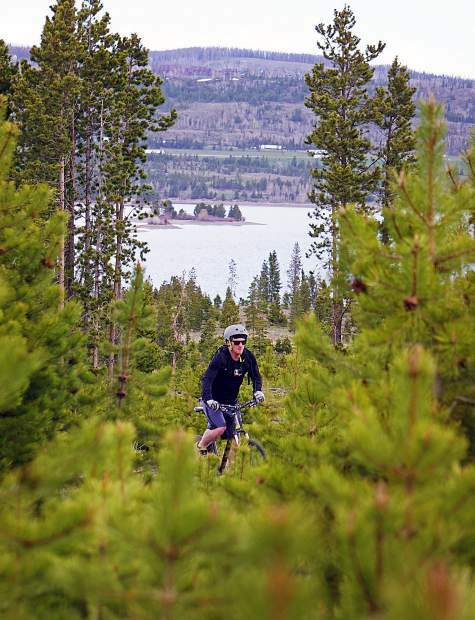 The Peninsula trails are fast, flowy and, thankfully, more or less flat, with only a few steep climbs split up by dirt roads and smooth singletrack. The first big climb of the day takes you from Balfonz Blitz to the water tower hill, an ascent of about 400 vertical feet in about 0.2 miles. 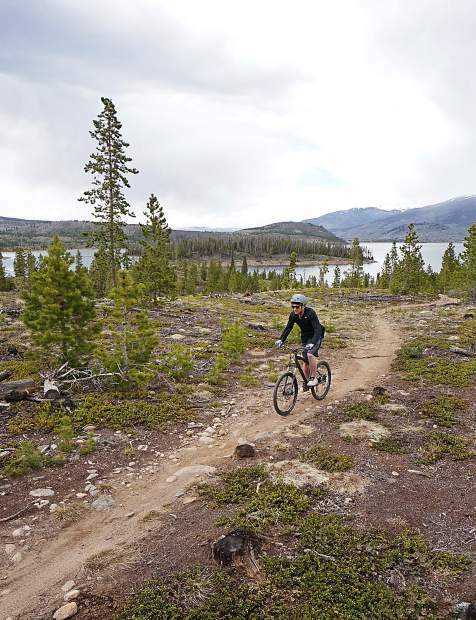 From there, Jody’s Loop and Riechel’s Retreat are fast and flowy, with the occasional sustained climb and a few whip-fast descents over rock patches. Crown Point Road is time to rest and recover. It’s nearly two miles of mellow climbing through pine stands on a wide dirt road before the hallmark of the course: Buzzsaw. Buzzsaw is home to the toughest climbs and most technical descents, giving riders enough of a challenge to make things interesting between laps two and three. 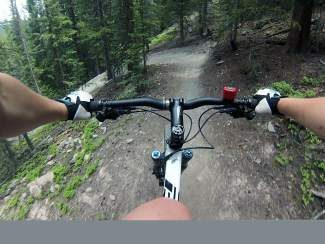 And, of course, you can’t forget the descent to the finish line through bike park berms, rollers and tabletops. The vert is mellow, but don’t be fooled — by lap three they’ll seem massive. The Frisco Peninsula is accessible from three primary locations, all off of Highway 9. 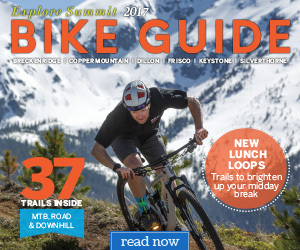 From Interstate 70 or Breckenridge, take Highway 9 to Frisco. 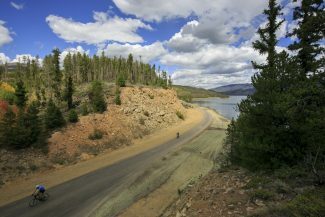 The peninsula sits just southeast of Main Street on the way to Breckenridge. The Frisco Roundup starting line is at the Frisco Adventure Park day lodge. Parking is available at the day lodge, the nearby ball fields or along Recreation Way, the main drag leading to the day lodge.